Kranjska Gora (pronounced [ˈkɾàːnska ˈɡɔ̀ːɾa]; German: Kronau, Italian: Monte Cragnisca) is a town in northwestern Slovenia, on the Sava Dolinka River in the Upper Carniola region, close to the Austrian and Italian borders. It is the seat of the Municipality of Kranjska Gora. Kranjska Gora was first mentioned in written sources in 1326 as Chrainow (and as Chrainau and Chrainaw in 1363, as Cranaw and Chranaw in 1390, and as Kraynaw in 1456–61, among other names). The Slovene name Kranjska Gora is a reworking of the German name, influenced by German Krainberg 'Karawanks'. 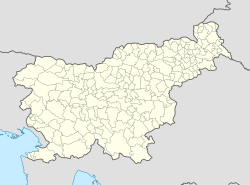 The settlement was also called Borovska vas (or Borovska ves or Borovška ves) in Slovene in the past. During the First World War, in 1916, Russian prisoners of war built a wooden chapel above the settlement commemorating their comrades killed in an avalanche while building a road over the Vršič Pass. There is a small cemetery nearby. Commemorations take place at the chapel every year. 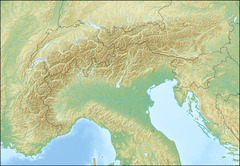 A mass grave from the end of the Second World War is found in the eastern part of the town. The Savsko Naselje Mass Grave (Slovene: Grobišče v Savskem naselju), also known as the Rušar Meadow Mass Grave (Grobišče Rušarjev travnik), contains the remains of up to 35 German soldiers killed in an engagement with the Partisans in May 1945. Tourism developed further in Kranjska Gora after the Second World War. Various ski lifts were built on Mount Vitranc west of the town in 1949, 1962, 1964, and 1965, and a freight cableway was installed in 1958. The Counts of Ortenburg established a church dedicated to Our Lady on the White Gravel (Slovene: Marija na belem produ) in the 14th century, referring to the bank of the Pišnica River, which has since changed course. The current church, dedicated to the Assumption of Mary, is late Gothic in style and has typical Carinthian rib vaulting. It contains two sculptures from the second half of the 15th century and paintings by Leopold Layer (1752–1828). Kranjska Gora is best known as a winter sports town, being situated in the Julian Alps. It annually hosts an event in the FIS Alpine Ski World Cup series, also known as the Vitranc Cup, for the slalom and giant slalom events. The well-known ski jumping hill Planica is located in the nearby Tamar Valley. Lake Jasna at Kranjska Gora. ^ "Slovenski pravopis 2001: Kranjska Gora". ^ a b Snoj, Marko. 2009. Etimološki slovar slovenskih zemljepisnih imen. Ljubljana: Modrijan and Založba ZRC, p. 211. ^ a b c d e f g h i j k l Savnik, Roman, ed. 1968. Krajevni leksikon Slovenije, vol. 1. Ljubljana: Državna založba Slovenije, p. 116. ^ a b c d Krajevni leksikon Dravske Banovine. 1937. Ljubljana: Zveza za tujski promet za Slovenijo, p. 540. This page was last edited on 21 November 2018, at 09:57 (UTC).